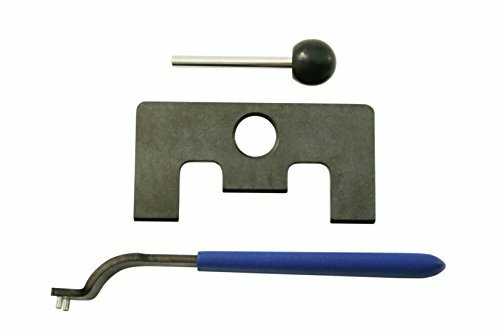 CTA Tools 2775 VW TDI Timing Belt Tool Kit is expertly designed and crafted to the exacting quality standards expected from CTA Tools. This VW TDI Timing Belt Tool Kit is specifically crafted for use on 1999 and Up with ALH code found on Golf, Jetta and Beetle engines. The VW TDI Timing Belt Tool Kit includes the Timing Belt, Tensioner Spanner Wrench, TDI Camshaft Lock Plate, and the Injection Pump Lock Pin. This VW TDI Timing Belt Tool Kit will not disappoint. Whether tuning up your '68 Corvette or changing the oil on a John Deere tractor, CTA can supply you with the tools needed to do the job. California Prop 65 - Warning, This product contains chemicals known to the State of California to cause cancer, birth defects or other reproductive harm.